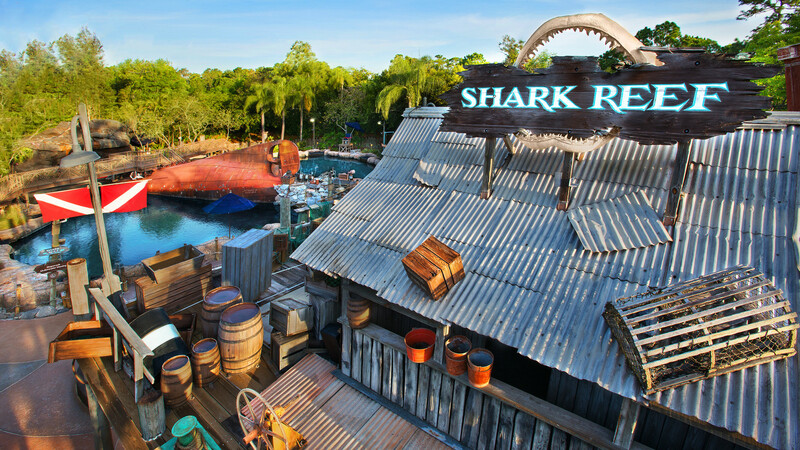 The Shark Reef is one of the most unique experiences at Disney’s Typhoon Lagoon Water Park. The Shark Reef is closing on October 3rd, 2016. We don’t know the exact reason, but it might be related to Miss Fortune? Falls. Brave bracing 68-degree waters—that’s how the fish like it—and hear only the sound of your own breathing as you get an eyeful of leopard and bonnethead sharks, stingrays and schools of blue tangs. An overturned sunken tanker with viewing portholes adds whimsy to the seascape while offering non-swimmers the opportunity to see undersea specimens without getting wet. Guests also have the option of renting a breathing apparatus for an extra fee to spend more time underwater.